I have a lot of questions. Who answers me? After the end of Universe, does It star again? We live in a infinite loop? The Universe has its the edges? If the Universe is finite and if existing other infinity Universes almost like at ours, what is there between the Universes? Message 1898980 - Posted: 3 Nov 2017, 22:57:44 UTC - in response to Message 1898902. I'm not sure if this is meant to be fun or if you're looking for factual answers about the Universe that we simply don't have. We don't know there is an "end" of the Universe. Our knowledge as of right now suggests that the Universe is expanding, but we don't know into what, or how it is still accelerating instead reaching entropy, and as far as we can tell "reality" is created as the Universe expands. We can't, with our current tools, know what is outside the boundary of our known Universe. Yes, as best we can tell based upon our inside-looking-out view. There's currently no evidence that there are other Universes, or even an infinity of them. As best we can tell with our current tools and understanding, there is only one all-encompassing Universe that is rapidly expanding. We don't know what it is expanding into or why it is accelerating. We don't know what caused the explosion that created it or what came before it, if anything at all. There is no hard and fast evidence that the universe is either finite or in-finite, you pays yer money you takes yer choice of all the theories. My own theory is that the universe is infinite, it has always been here and always will be here. Goes on without end everywhere. Every so often a super gigantic black hole ingests so much matter that it simply explodes into a "local" big bang. We are living in the remnants of our one now. In time to come the bits of matter flung out from our big bang will get swallowed up by a black hole somewhere else, and they will have their local big bang and so on. Like a pan of soup bubbling on a stove. Heat source? Dark energy. The latest scientific measurements purport to say that the furthest objects from us in the observable universe that we can detect or see, are travelling faster than the speed of light. But all that is almost impossible to assimilate for us mere humans as we live in a finite world. If I gave you a book you could see the length, width, thickness, i.e. its entirety. The concept of infinity is something our brains simply cannot comprehend. Secondly some bloke called Einstein predicted that at the speed of light an objects mass becomes infinite, and therefore requires an infinite amount of energy to move it, effectively a show stopper. Also what about all these UFO's that we hear about, there must be something in it to have all these impeccable sources constantly coming out with such stuff? But if they exist then they are likely robotic controlled drones, no body we can imagine can withstand the G forces that these things do. so OK, where is the mother ship? Behind a moon? cloaked? Certainly if any of it is true it isn't from our solar system. The nearest star is 4.3 light years away, so FTL travel must be possible. Message 1899060 - Posted: 4 Nov 2017, 8:48:28 UTC - in response to Message 1899055. If we could having the technology for travels through Universe I'm would journey for watching all this. Message 1899066 - Posted: 4 Nov 2017, 9:24:34 UTC - in response to Message 1899060. We can't even build a base on the moon or travel to Mars and back, and at our present rate of technology growth we'd be talking centuries in the future to the nearest star. All this waffle about parallel universes and wormholes is just that, futuristic waffle. PhD's are 10 a penny these days compared to when getting one was the culmination of almost a lifes work. If the transport industry can lose your baggage from London to New York, what could they do to Alpha Centauri?? Concorde blurb: breakfast in London and lunch in New York. Someone added: and baggage in Hong Kong. Message 1899115 - Posted: 4 Nov 2017, 16:00:24 UTC - in response to Message 1899066. Dreaming does not cost anything. Was only for talking about and ask questions. Message 1899121 - Posted: 4 Nov 2017, 16:50:39 UTC - in response to Message 1899115. Well we hope that the replies that you are getting are helpful. Personally I would rather deal in the here and now than what might be. Breakfast in London, lunch on Mars, supper in Alpha Centauri, baggage still in London. If our universe isn't part of a multiverse, made up of a great may other universes, then we'll have a very hard time explaining why, in only one roll of the dice, we have conditions that allow the existence of life and intelligence. The values of forces, and constants, and the properties of matter and energy could easily have been very different in a great variety of ways, and so precluded out existence. A multiverse allows for a great many universes, each with its own set of conditions. It's reasonable that some tiny fraction of these universes could have allowed life and intelligence to exist, including our own. Message 1899163 - Posted: 4 Nov 2017, 20:14:04 UTC - in response to Message 1899136. There doesn't need to be an explanation. It's all a matter of probabilities and chance. It is possible that we are the only ones. In fact, there doesn't need to be other Universes to have more than one place for life. There could be other life right here in our own Universe. It may be possible, but it's still extremely improbable that a single, randomly configured, universe would contain life and intelligence. I wasn't referring to the possibility that life might occur in many places, in a universe like our own, where life is already known to exist. I had reference to an entire universe with physical properties that preclude life and intelligence. Message 1899207 - Posted: 5 Nov 2017, 1:15:49 UTC - in response to Message 1899055. But all that is almost impossible to assimilate for us mere humans as we live in a finite world. If I gave you a book you could see the length, width, thickness, i.e. its entirety. The concept of infinity is something our brains simply cannot comprehend. I'm personally a believer in the idea of multiverses partly because if time travel is possible, I think a new reality(an alternate timeline) opens up to accommodate the ramifications of going into the past and changing what has already happened. Likewise, if there are dimensions more than the three we are accustomed to, those would be co-existing with ours, without us knowing. One thing that bothers me about the multiverse hypothesis is this: it seems to imply that every branching of probability would create a new universe. Wouldn't this mean that every time you throw a die, five new universes are created? One of six possible numbers comes up in our universe. 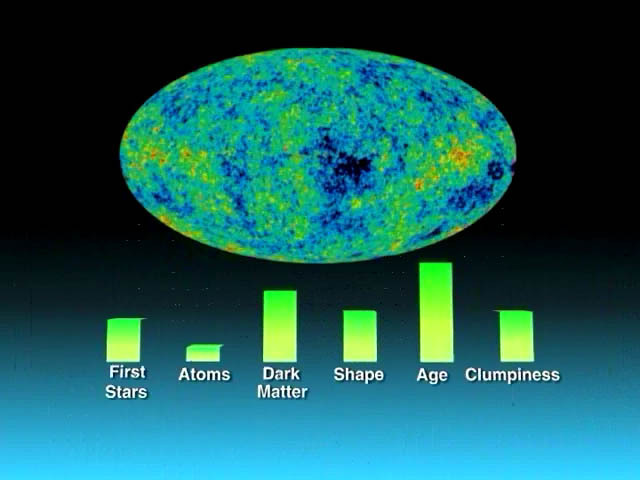 Each of the other five numbers come up in one of five new universes. That sounds pretty weird and improbable, doesn't it? Message 1899231 - Posted: 5 Nov 2017, 4:49:09 UTC - in response to Message 1899222. One thing that bothers me about the multiverse hypothesis is this: it seems to imply that every branching of probability would create a new universe. Of course, there are (seemingly) infinite possibilities in how we progress through our lives, but I think what we do here in the world we all know is a one-way street. My feeling about multiverses is more about the effects of traveling close to the speed of light or faster. Message 1899233 - Posted: 5 Nov 2017, 4:55:03 UTC - in response to Message 1899222. I think that's more on the theoretical side of the multiverse theory. "What if I had thrown a 5 instead of a six?" "What if Hitler won WWII?" "What if the asteroid that killed off the dinosaurs had missed?" For each question a theoretical Universe could be imaged. Message 1899243 - Posted: 5 Nov 2017, 5:53:32 UTC - in response to Message 1899231. If that were true, then there's no concept of choice or free will. I.e. "Everything that happens, happens for a reason and couldn't have happened any other way." That kind of thinking is very problematic, to put it politely. Message 1899245 - Posted: 5 Nov 2017, 6:10:57 UTC - in response to Message 1899243. When I say it's a one-way street, I mean our decisions in this life go forward in a linear way, not for a reason, but just onward. Message 1899251 - Posted: 5 Nov 2017, 6:51:05 UTC - in response to Message 1899245. Scientists will never figure out how The Universe Works.